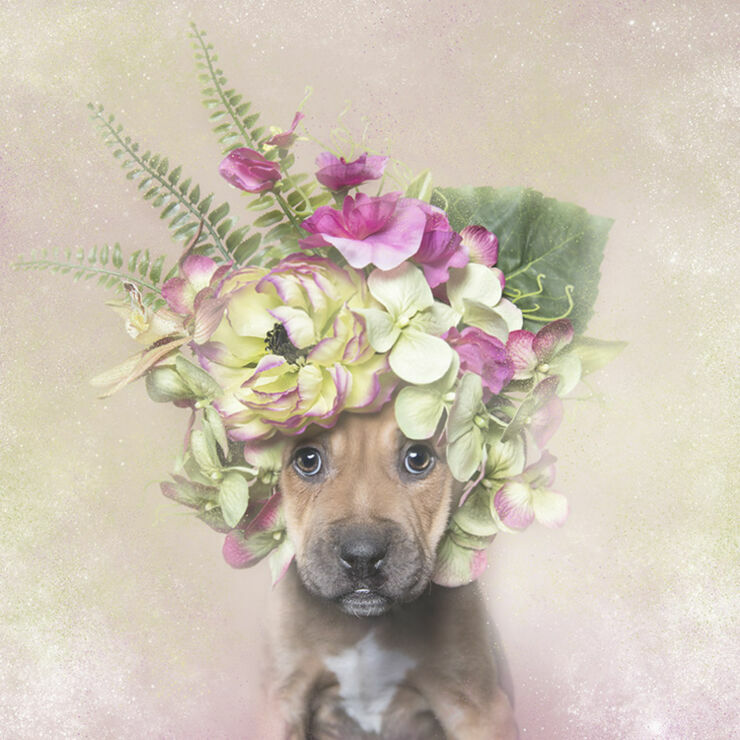 Flower power is helping rescue dogs find new homes thanks to photographer Sophie Gamand. 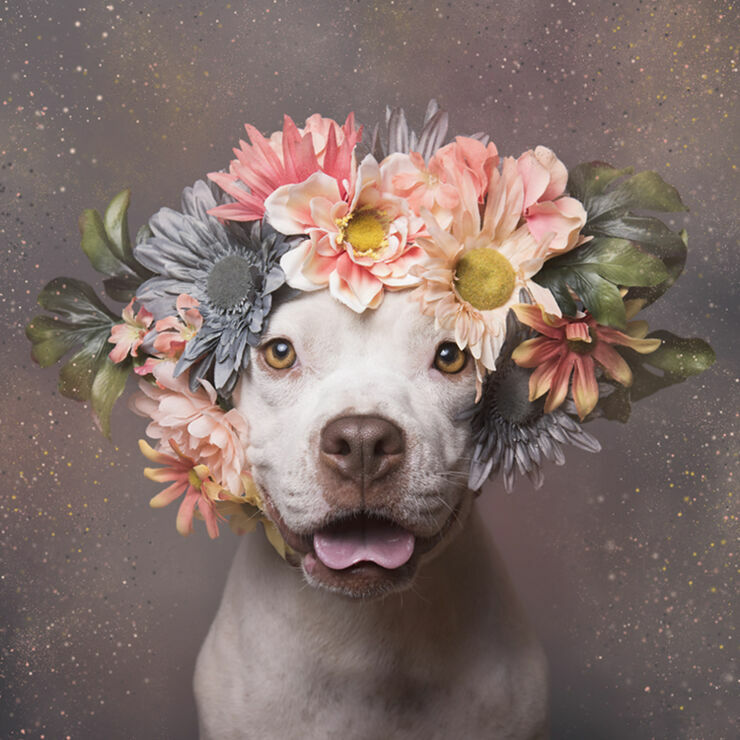 New Yorker Gamand has attempted to soften the image of dogs like pitbulls that people often perceive as aggressive by taking their portraits with their heads covered in flowers. 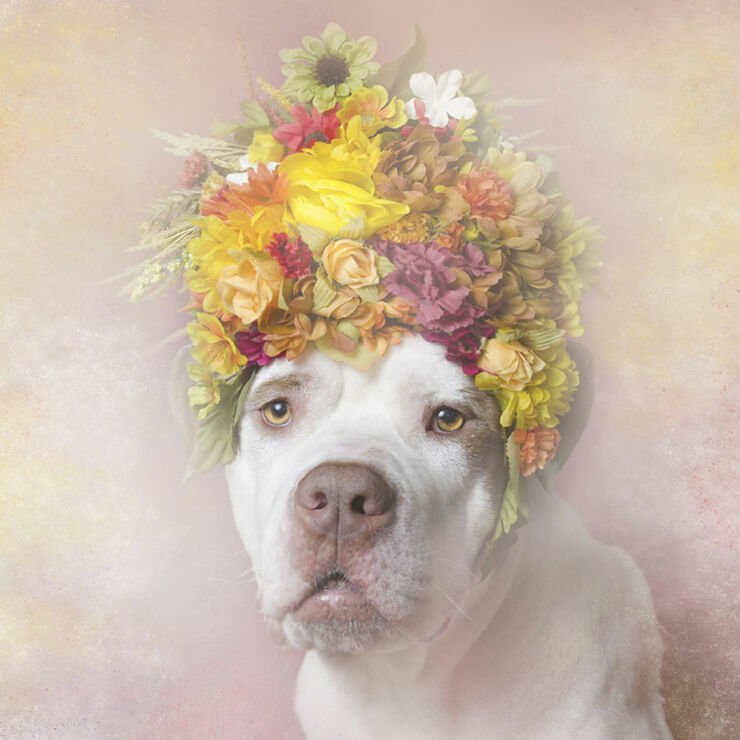 Along with their blooming flower crowns the dogs are shot with a dreamy light, in the hope that people will see these images and put their prejudices to one side. 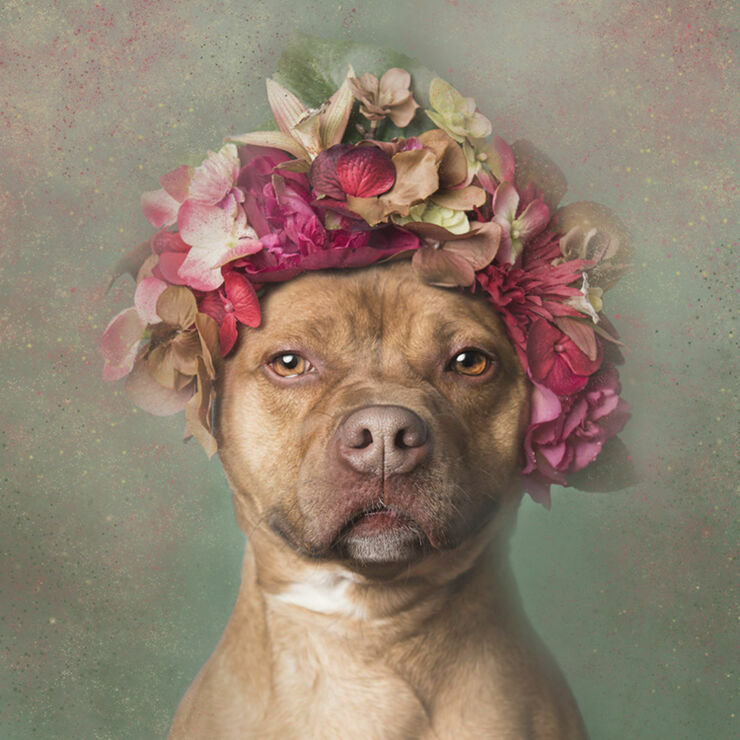 "I decided to photograph them with flower crowns, to infuse a softer energy into their imagery." 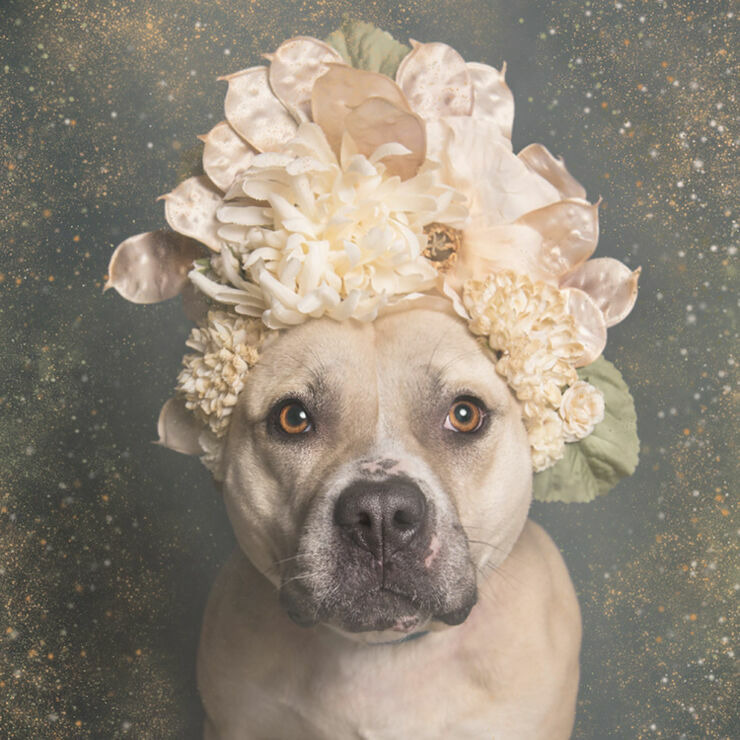 Gamand says on her website. 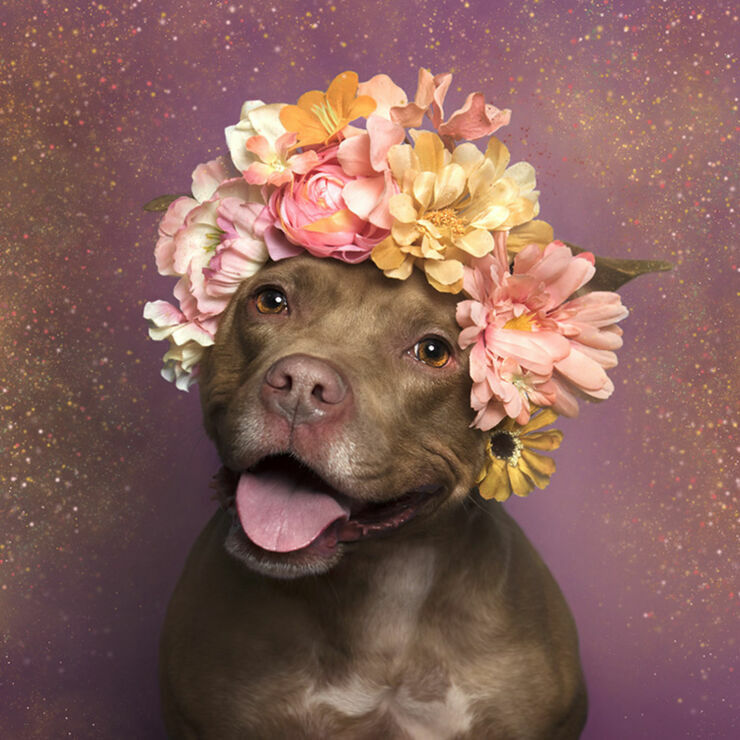 "I wish for this series to challenge the way we look at pit bull-type dogs, and ultimately the way we treat them." 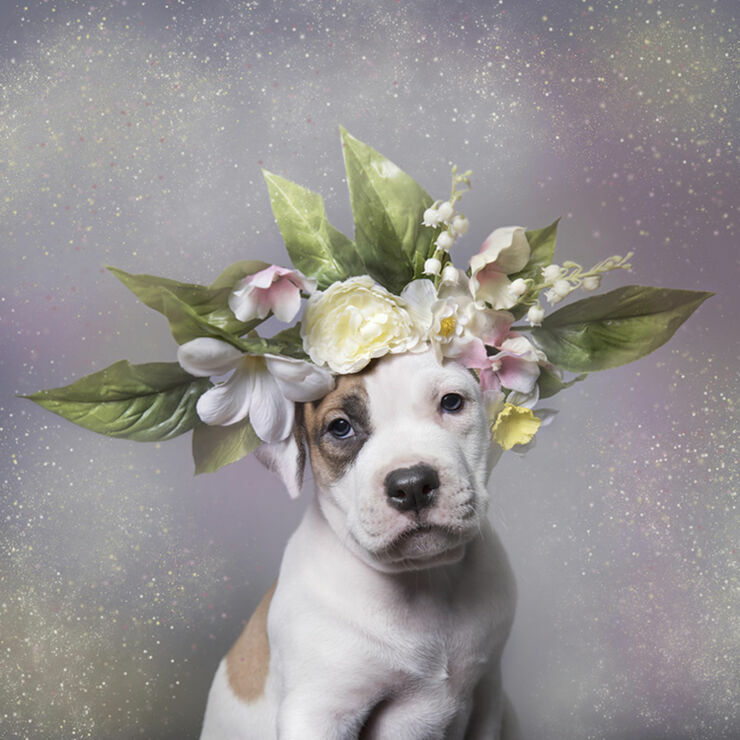 Gamand writes that one million pit bulls and similar dogs are put down each year, purely because they're thought of as having hostile personalities. 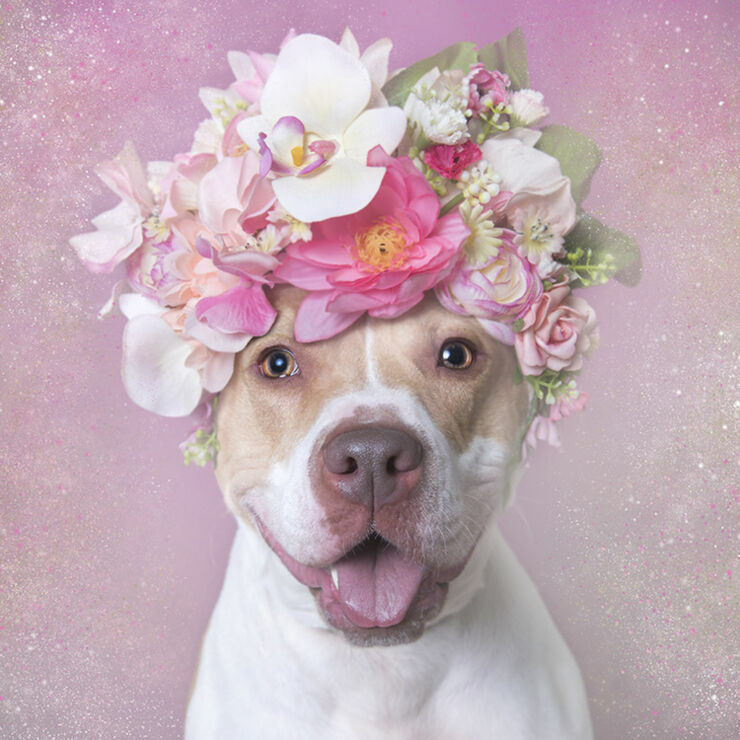 This had led, Gamand says, to America having a "major pit bull crisis" which she is trying to readdress in Flower Power: Pit Bulls of the Revolution. 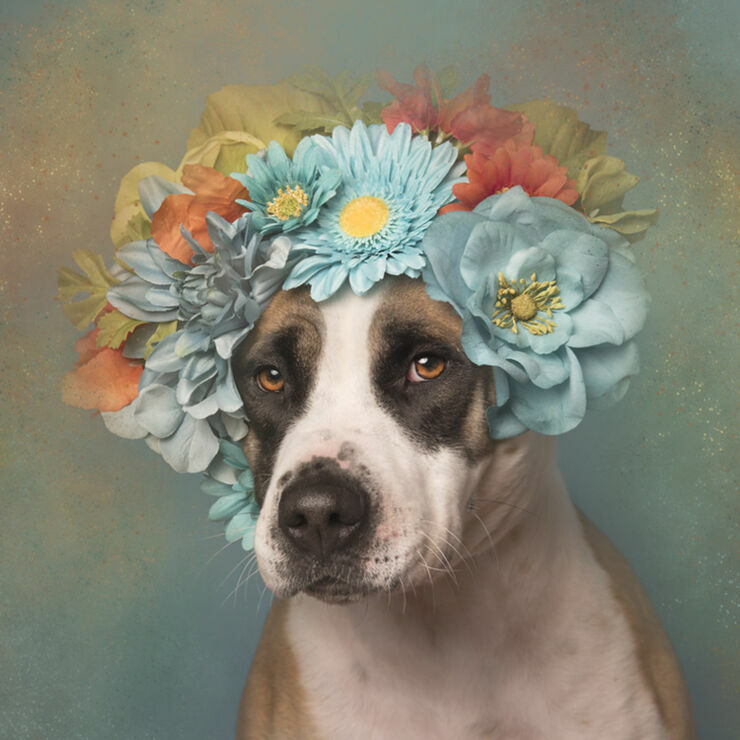 "The series is inspired by Baroque and Rococo's aesthetics, using the traditional codes of portraiture." explains Gamand. 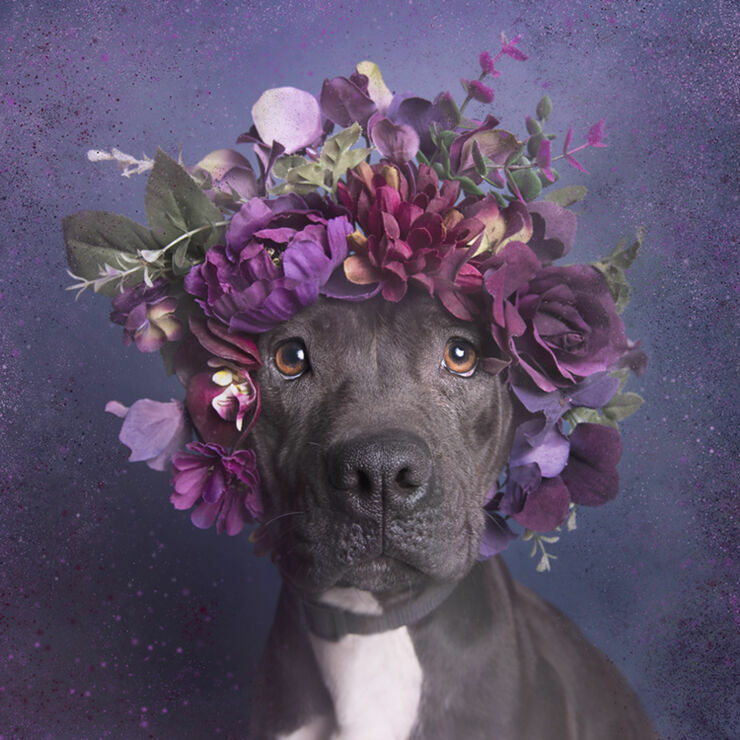 "The flowers symbolize the ephemeral quality of life, reminding us that these creatures are fragile and precious." 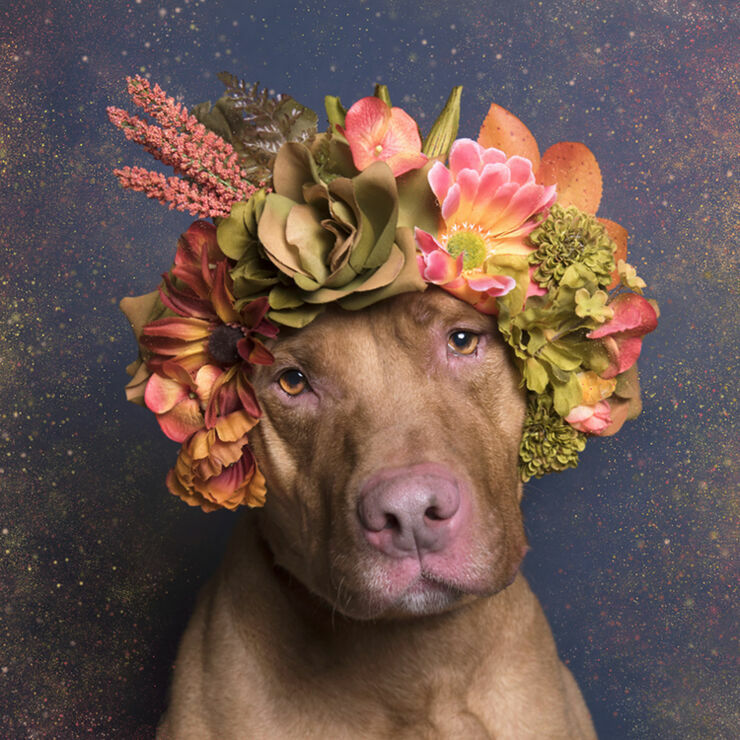 Gamand makes the flower headpieces herself and then takes them along to shelters in the New York area to photograph dogs who are awaiting adoption. 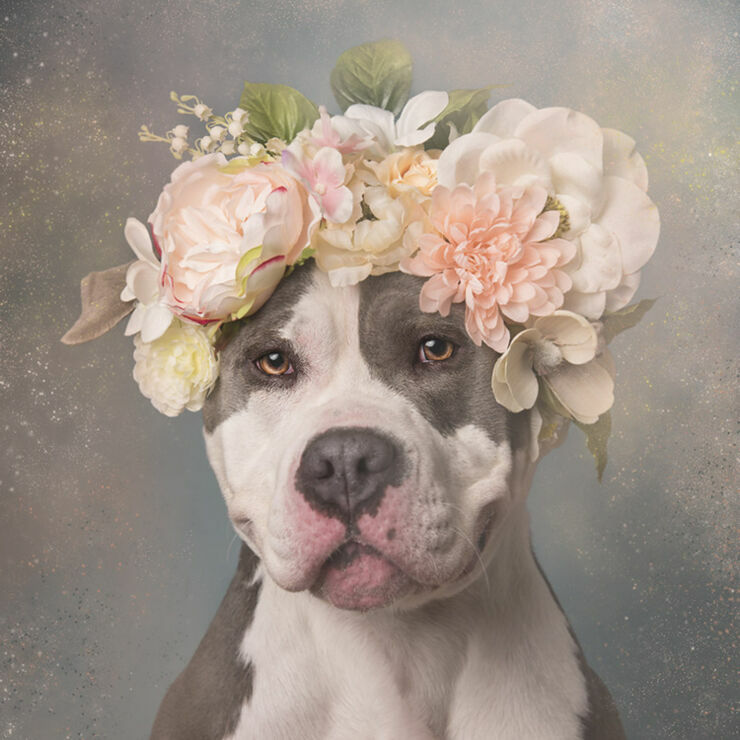 Because of the way they're usually portrayed—gritty, violent, tough—these dogs can often remain in shelters for months, even years. 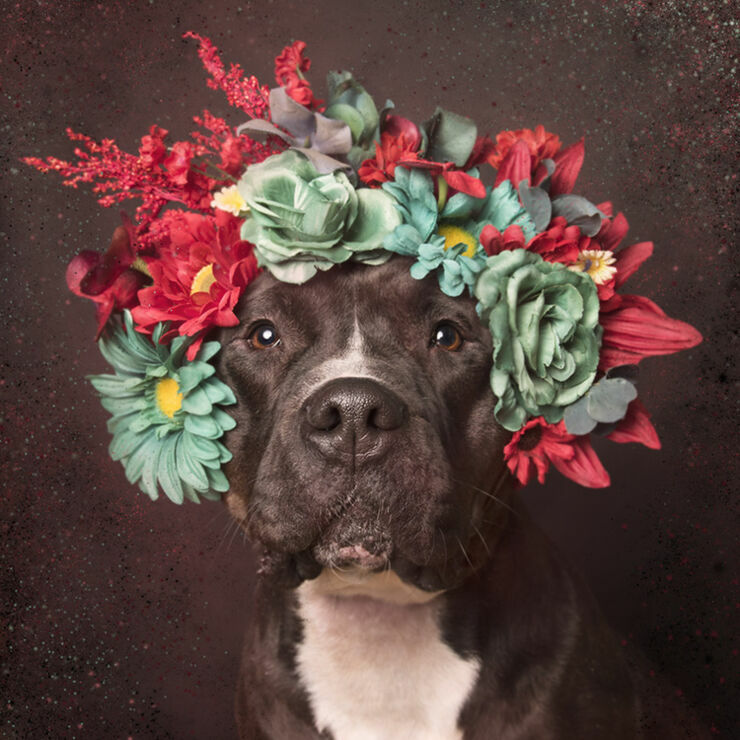 "Flower Power is about challenging myself to approach pit bulls with a fresh perspective and an open heart. 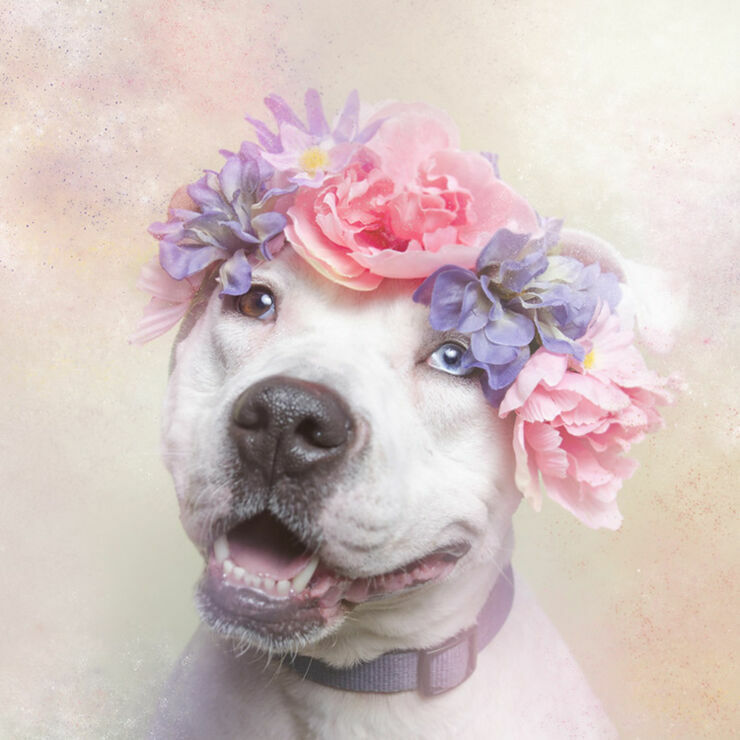 I invite the viewer to do the same." 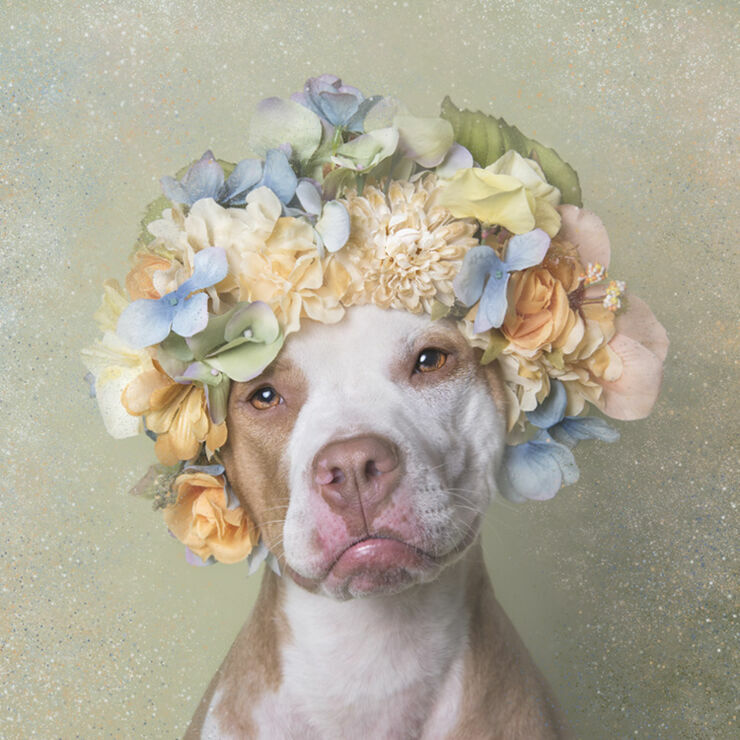 notes Gamand. 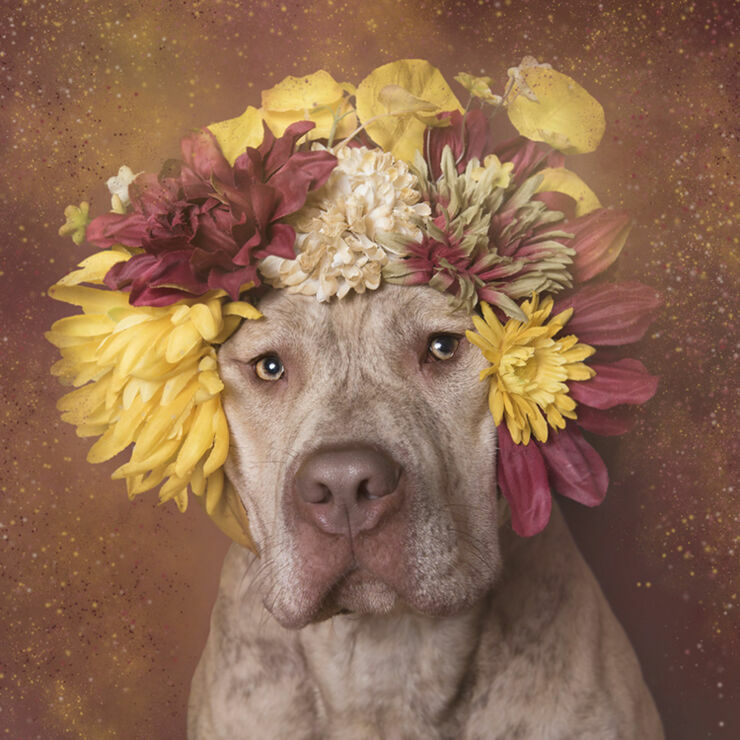 You can buy prints from the series on Gamand's website.